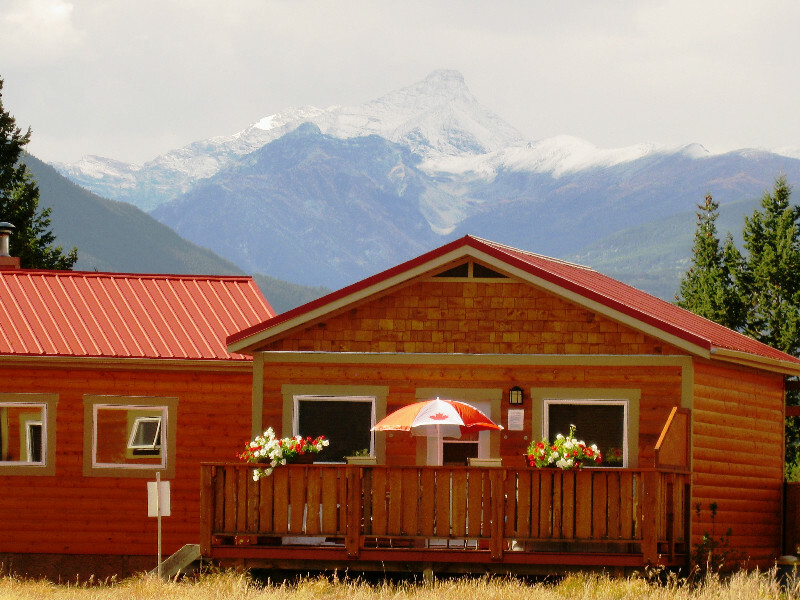 Looking for an airbnb in Invermere? 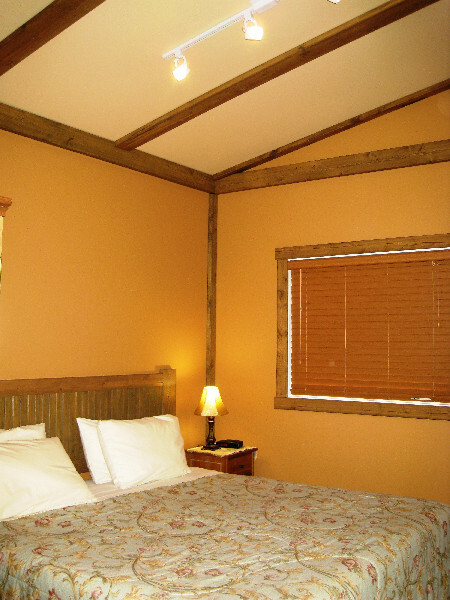 Check out our cabins! 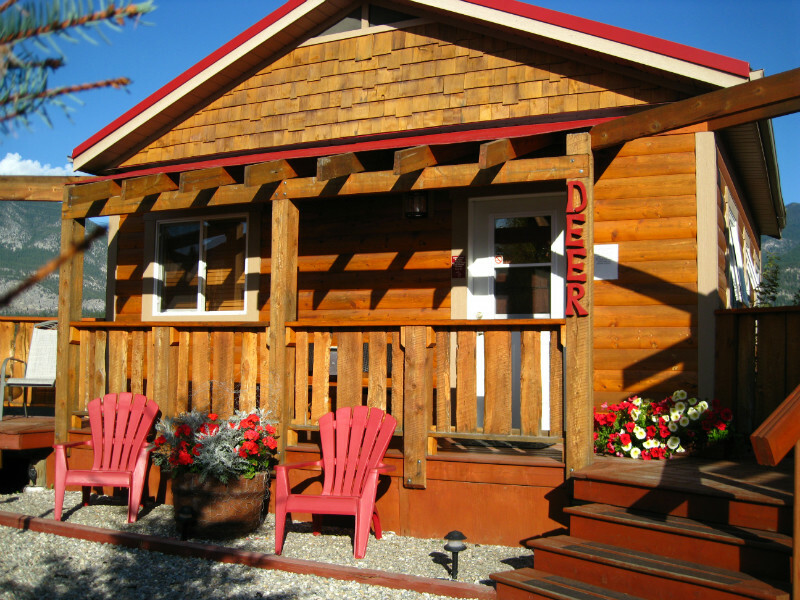 The Kootenay Cabins at Deere Ridge offer a great alternative for those searching for airbnb Invermere. 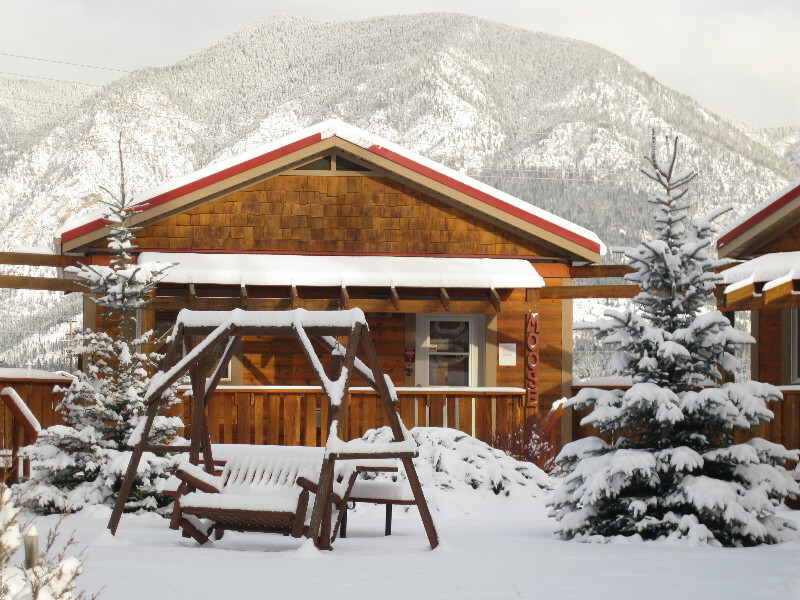 Our private cabins offer cozy individual cabins with private hot tubs for your personal enjoyment and fireplaces for guest comfort. Sleeping arrangements are 2,4 or 6 persons. 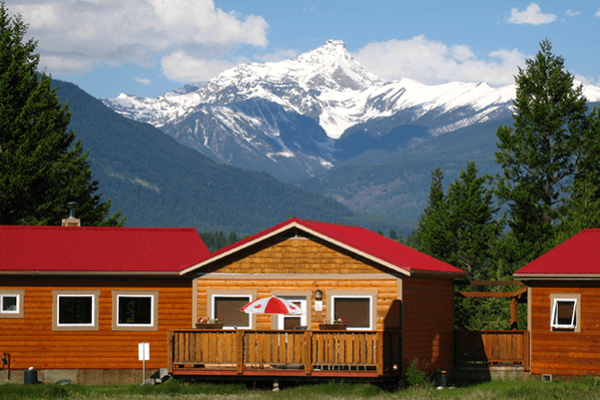 Deere Ridge is nestled on a Mountain Ridge above and overlooking Lake Windermere & James Chabot Beach near to Kootenay National Park. 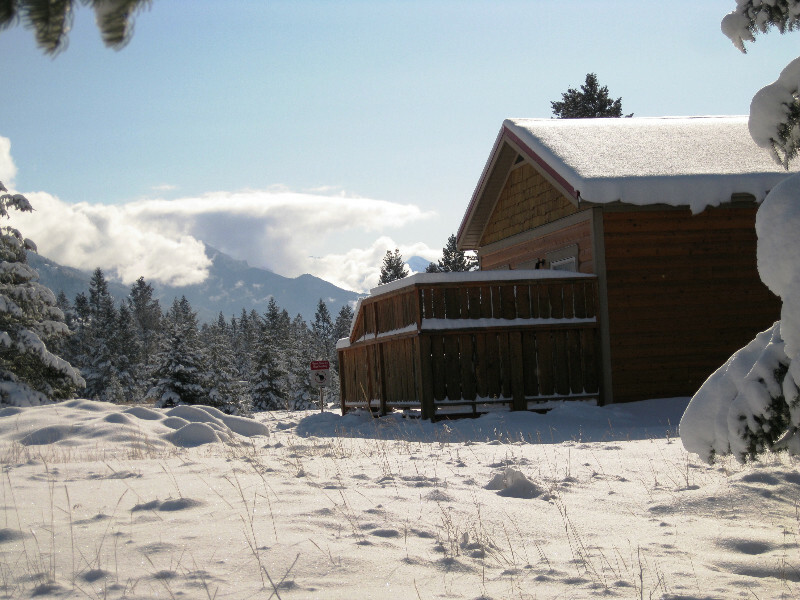 Invermere Town, only minutes across the Lake. 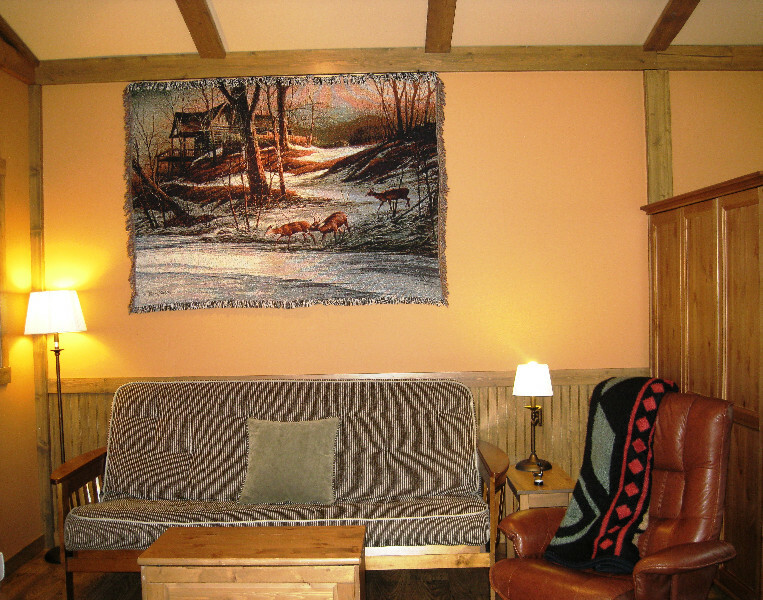 Each Deere Ridge Cabin offers a cozy mountain architecture design that is tastefully decorated and complimented in the warmth of rich jeweled earth tones which highlight the rustic timber frame beams, high vaulted ceilings & hardwood floors. 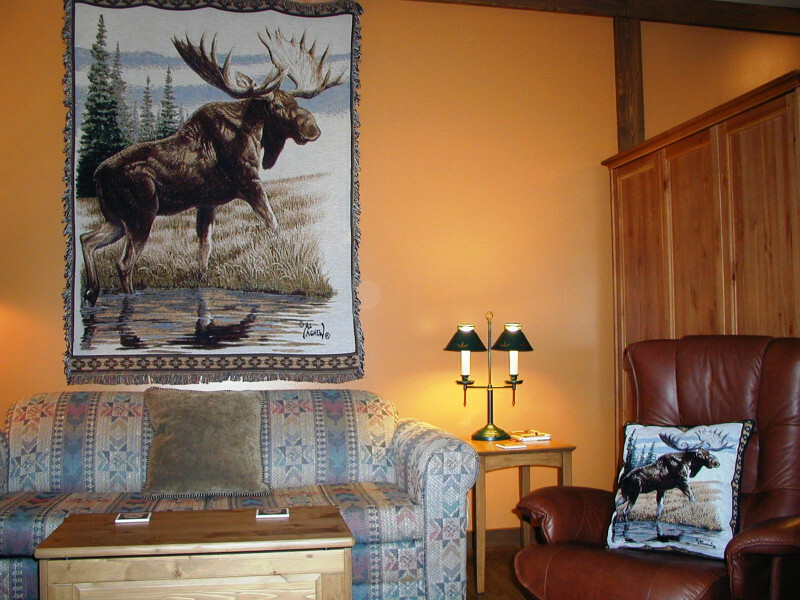 Extremely comfortable, all cabins have a well appointed living room with gas fireplace with relaxing comfortable furniture and kitchenette. Spacious open concept layout with various seating area and here you can relax in front of your cozy fireplace. 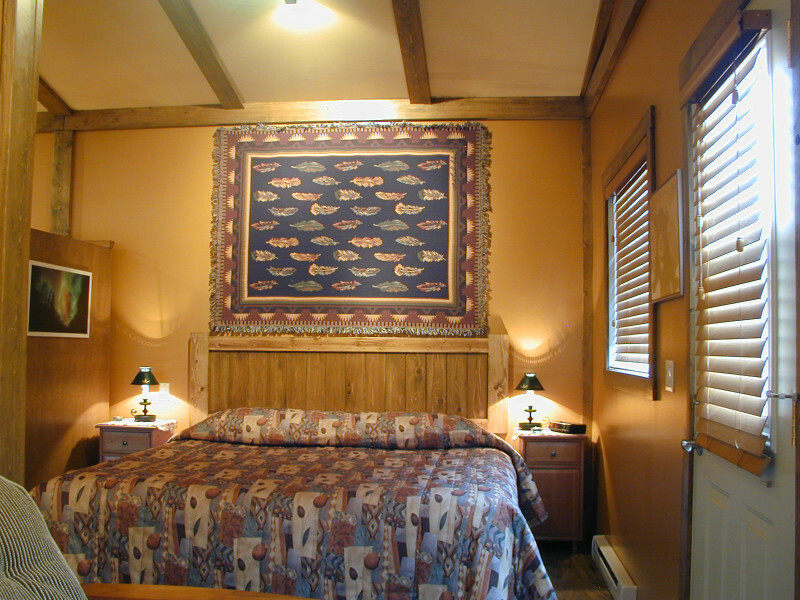 Each has 1 king-size bed in the master area, which is separated from the living area by a 3/4 length wall that divides sleeping quarters from the living area (no door between them). A sofa bed in the living room offers additional sleeping space, with select cabins offering 2 sofa beds. 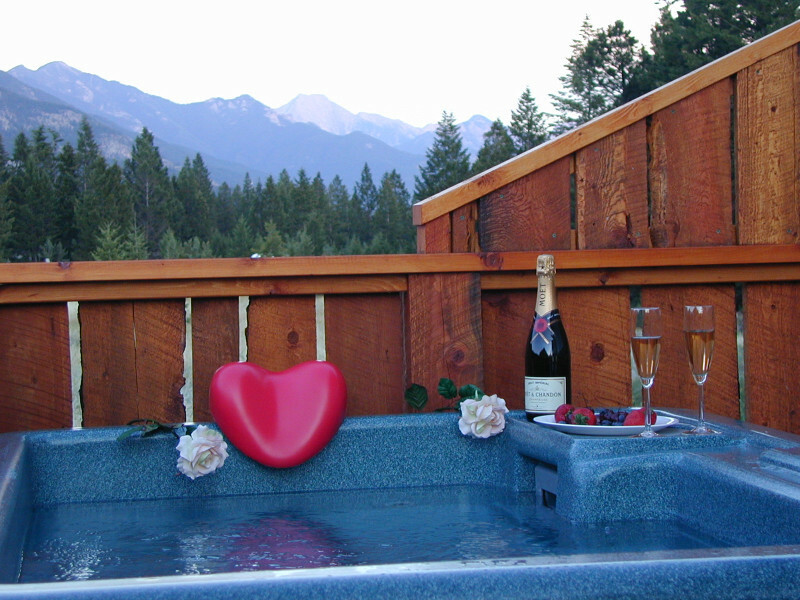 Private Personal Hot Tubs are available at all of our Kootenay cabins, as well as fabulous mountain views. 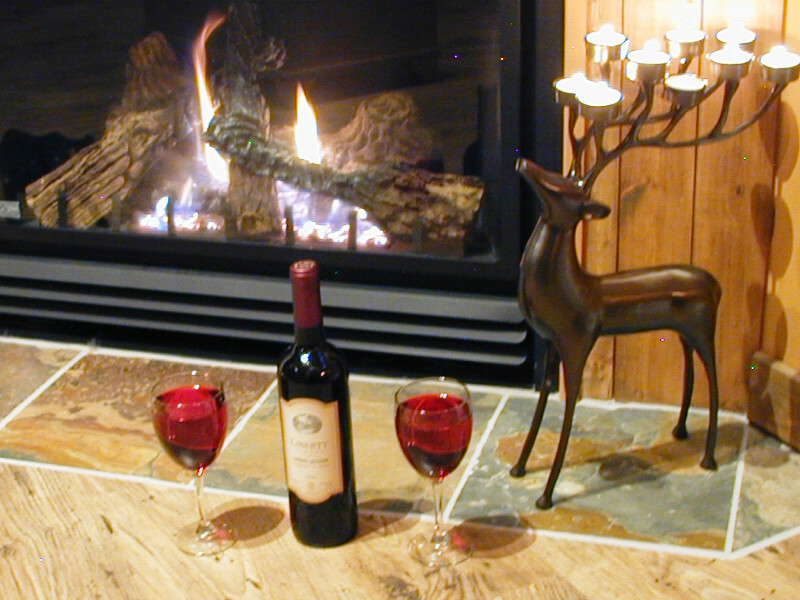 *Best Romantic Cabin ~ *Private Location featuring awesome Rocky Mountain views & offering some Lake views. Perfect in the Winter or Summer. Romantic Setting perfect for Couples wanting more privacy & seclusion. 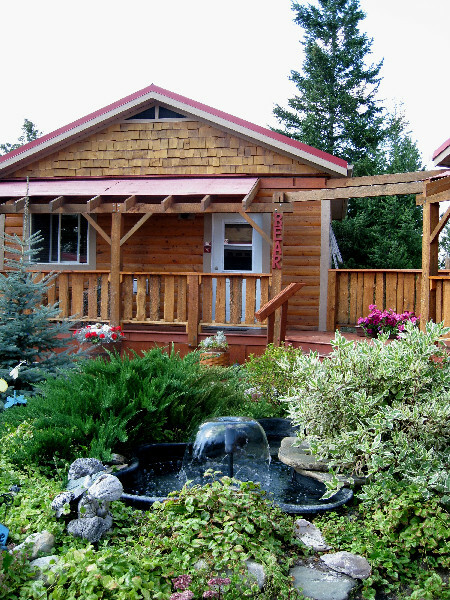 A private end unit nestled amongst the Fir Trees. 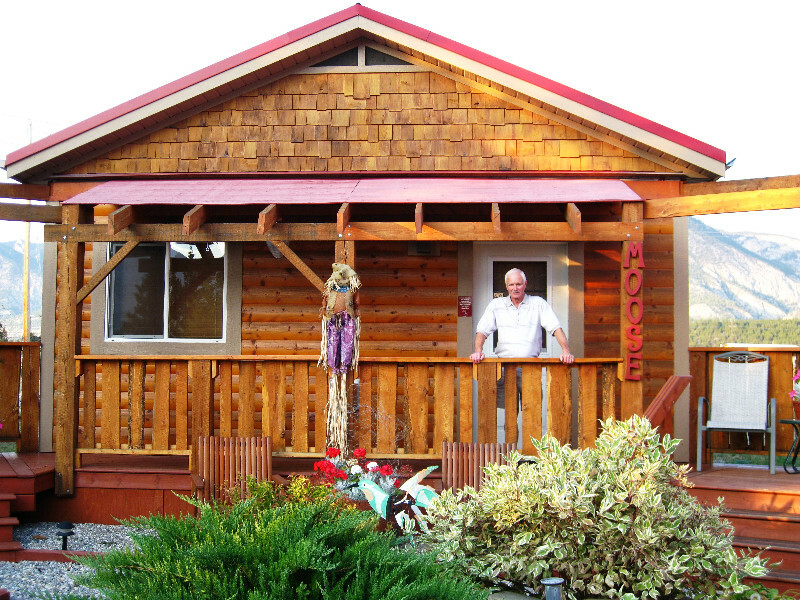 This is our favorite & most popular Cabin. 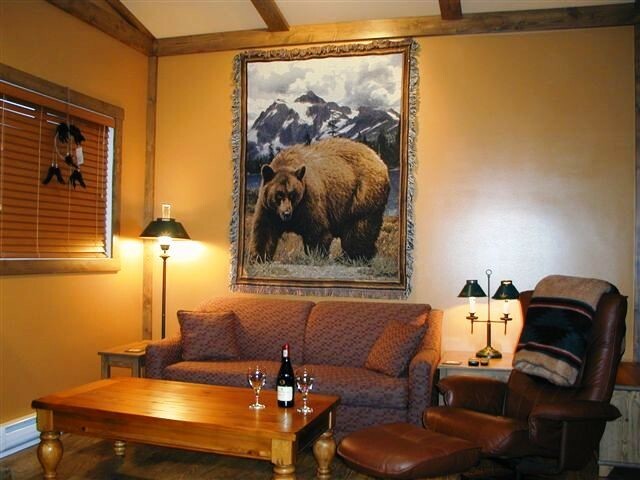 Ideal for that Romantic Getaway or Honeymoons! 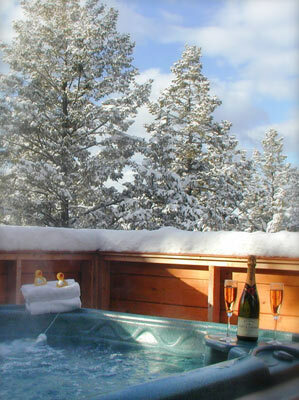 Enjoy the awesome Rocky Mountain Sunsets from your romantic private Hot Tub for 2. Maximum occupancy sleeps 2-4 people. ~500 square feet = 47 meters. 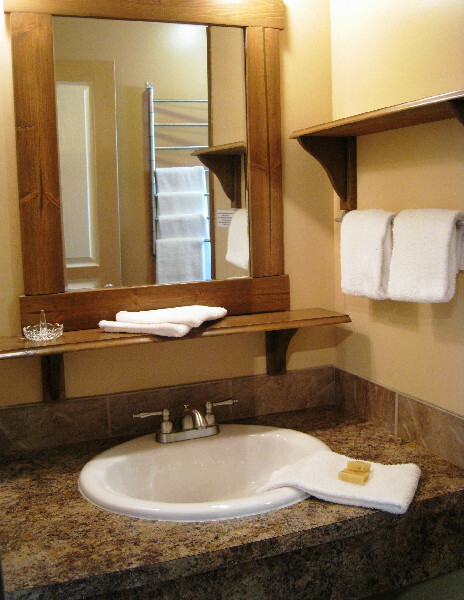 Further info please review the Cabin amenities on this page. Chosen by couples and smaller size families. Awesome views any season & offers privacy. 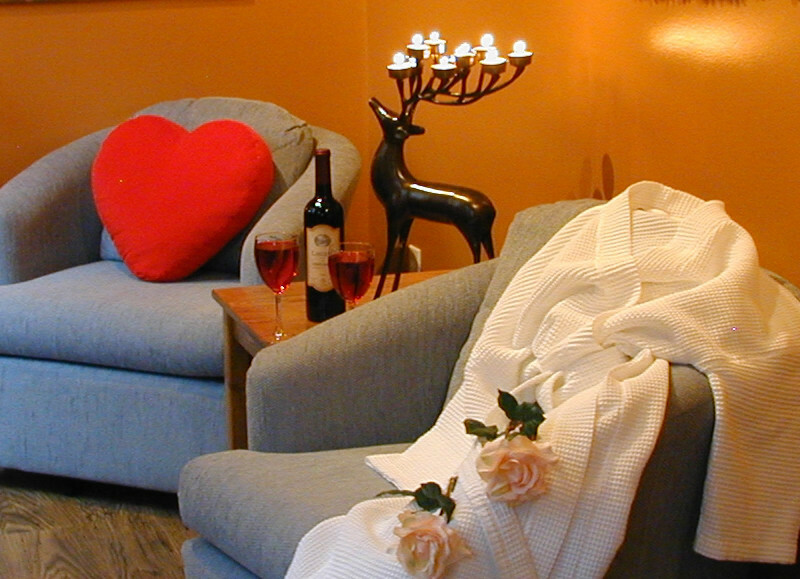 Suitable for couples wanting a Romantic Getaway! 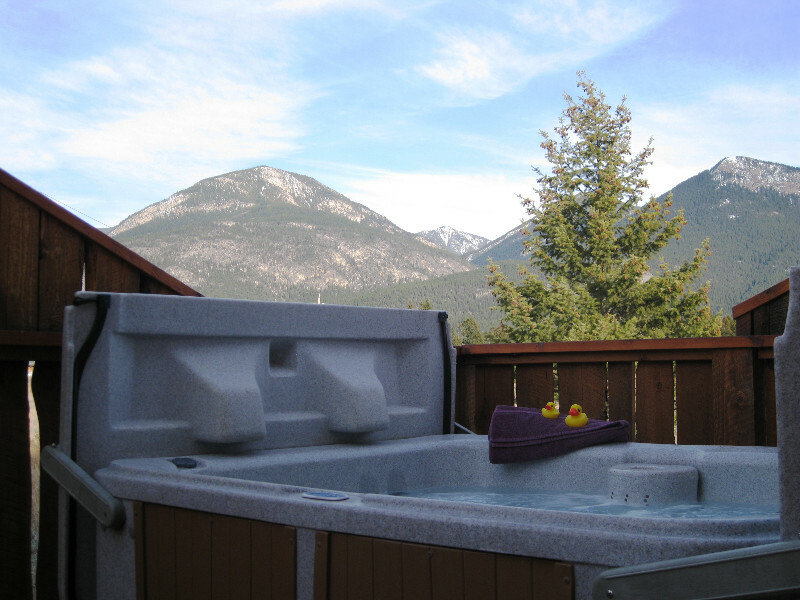 Enjoy the morning Sunrise coming over the Rocky Mountains right from your King-size bed, or while relaxing on your back deck or from your cozy private Hot Tub. 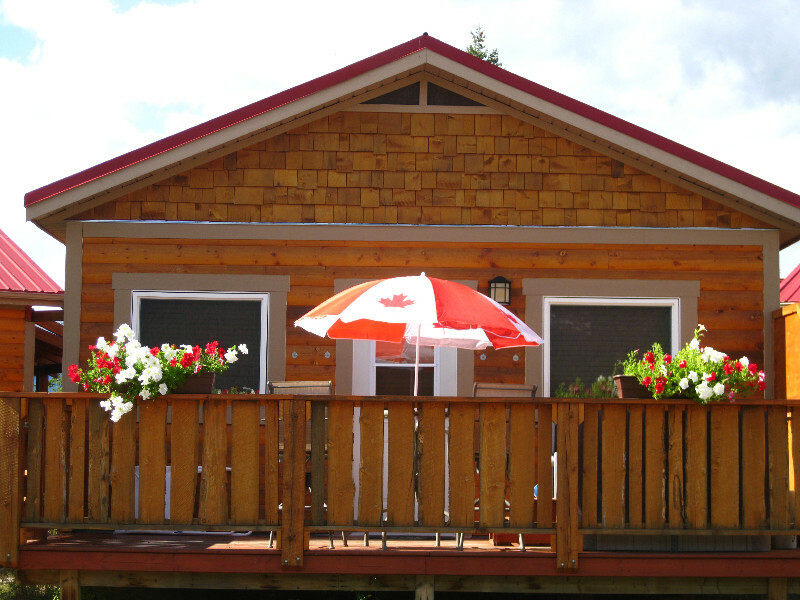 Summertime, back deck offers afternoon & evening shade perfect during sunny hot days. Maximum occupancy sleeps 2-6 people. ~500 square feet= 47 meters. 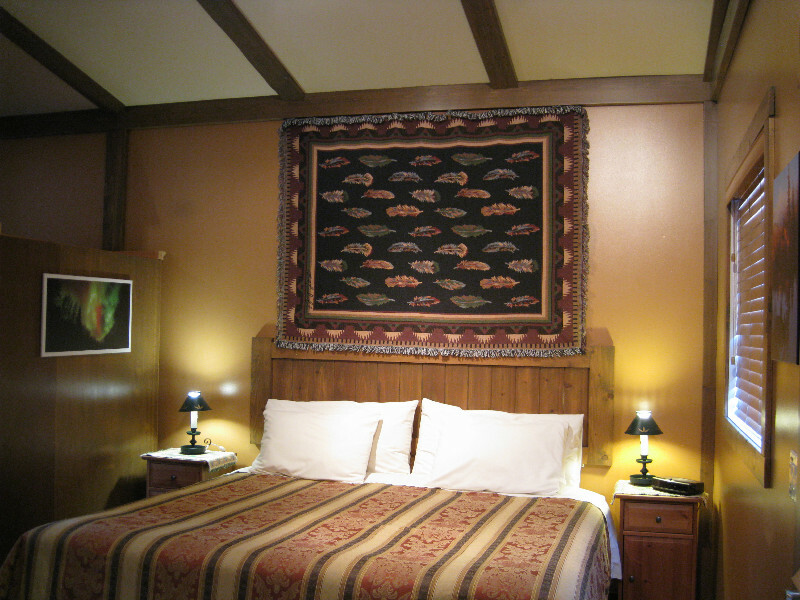 Further info please review the Cabin amenities on this page. A popular choice for couples or smaller size families. 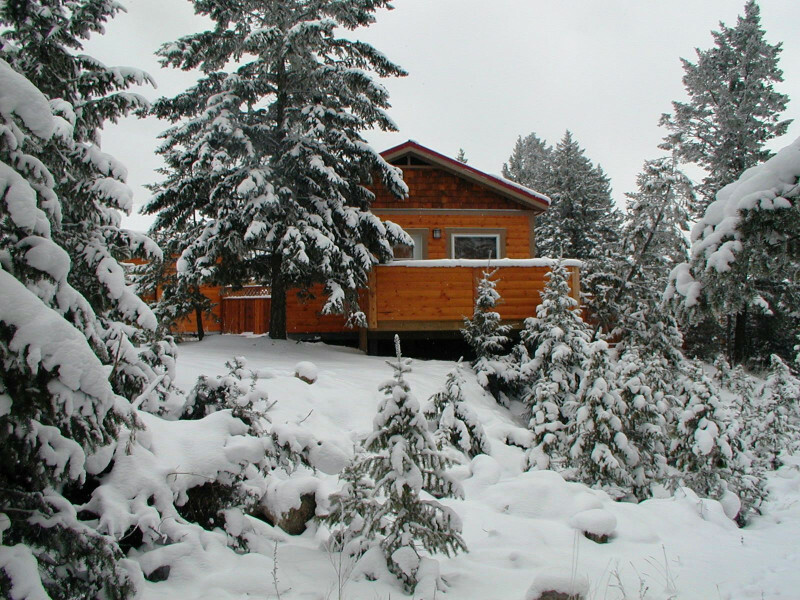 Private end location offers awesome views any season & offers privacy. 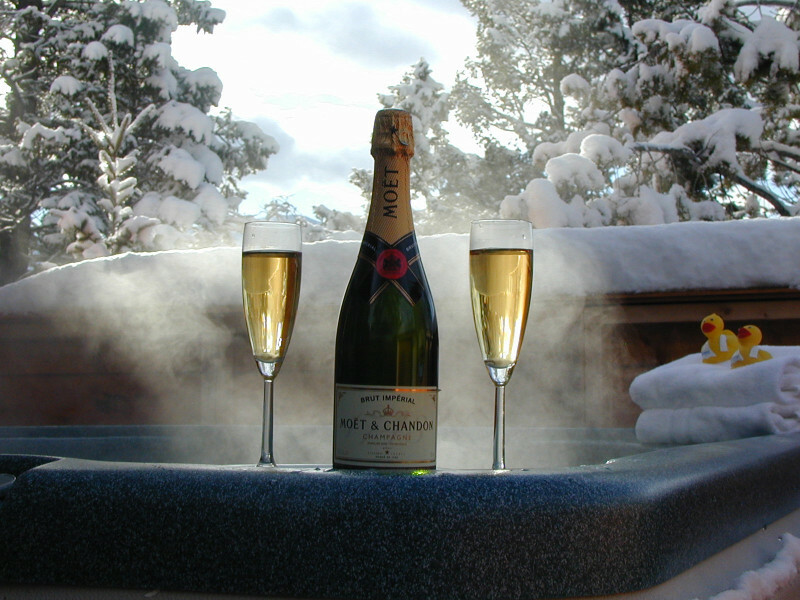 Enjoy the morning Sunrise coming over the Rocky Mountains right from your King-size bed, or while enjoying your back deck or from your private Hot Tub. 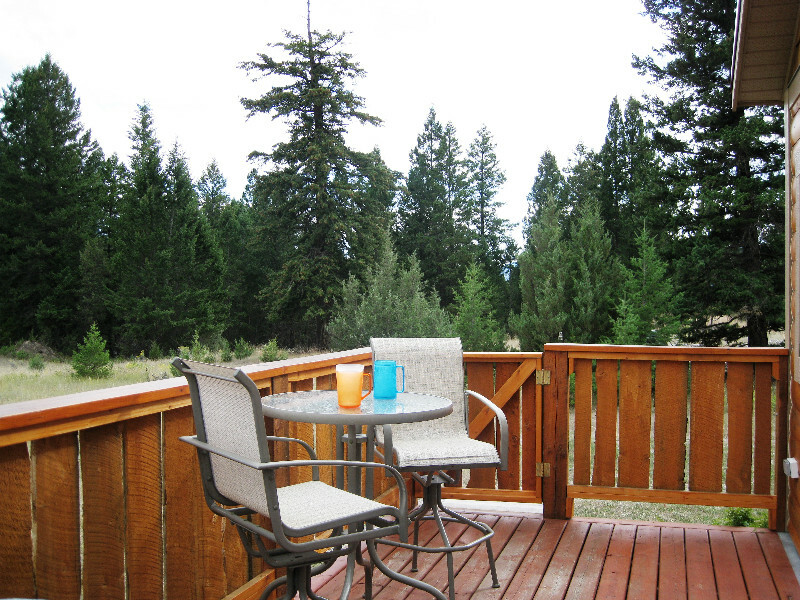 Summertime, this back deck offers afternoon & evening shade perfect during our sunny hot days. A large awning roofline provides sun protection. Maximum occupancy sleeps 2-5 persons. ~500 Square feet= 47 meters. 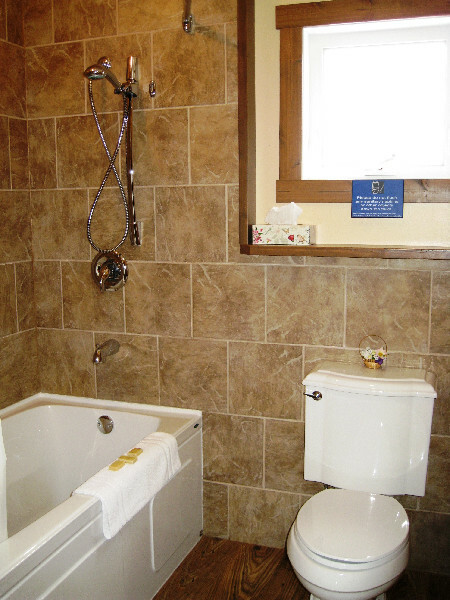 Further info please review the Cabin amenities on this page. Rates: Based 2 people, additional fees may apply for extra person and beds provided. Long weekends, holiday periods & some regular weekends based on availability may require 2 night stay for advance reservations. All rates are subject to change without notice. 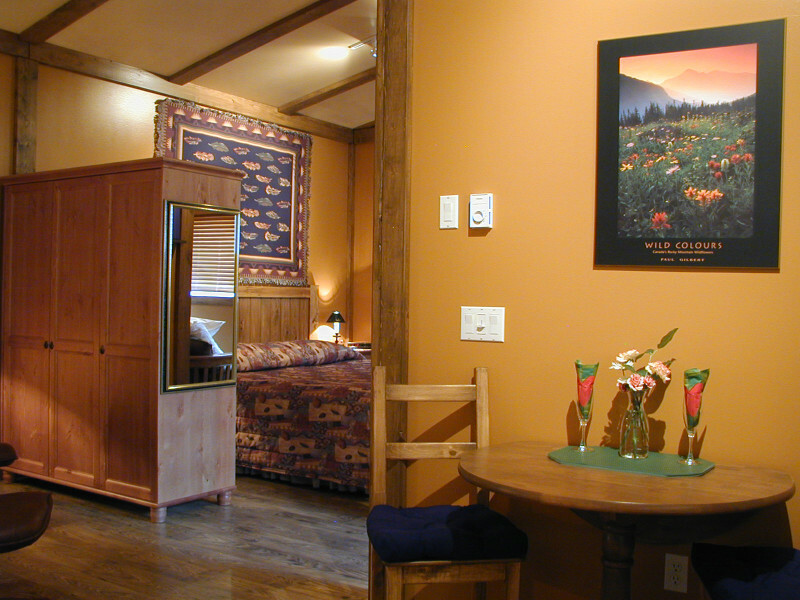 Long Stay discounts are available upon request and subject to availability. 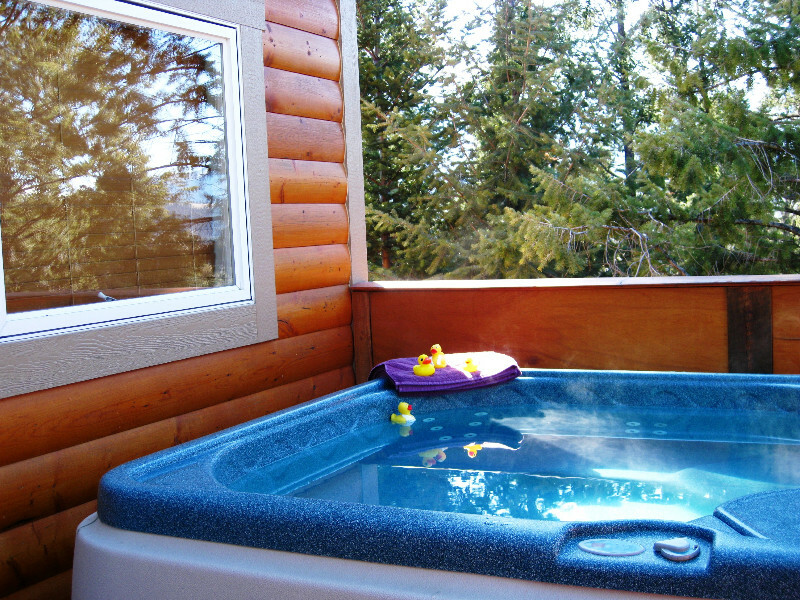 Cozy Cabins offering private Hot Tubs. Romantic Getaways! Mountain & Lake Windermere views. Pet Friendly. 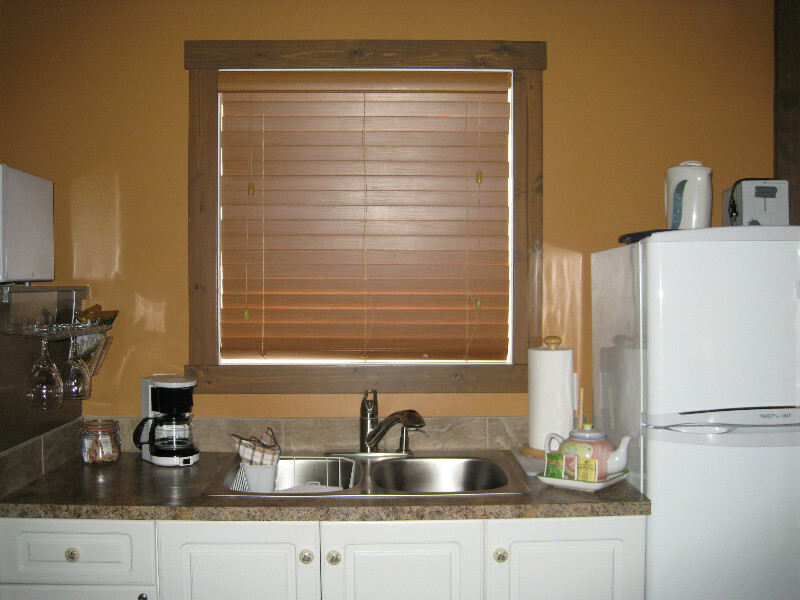 Fridge, Microwave, (no oven or stove) *other household appliances are not permitted! Smoking in designated areas only, 420 friendly. 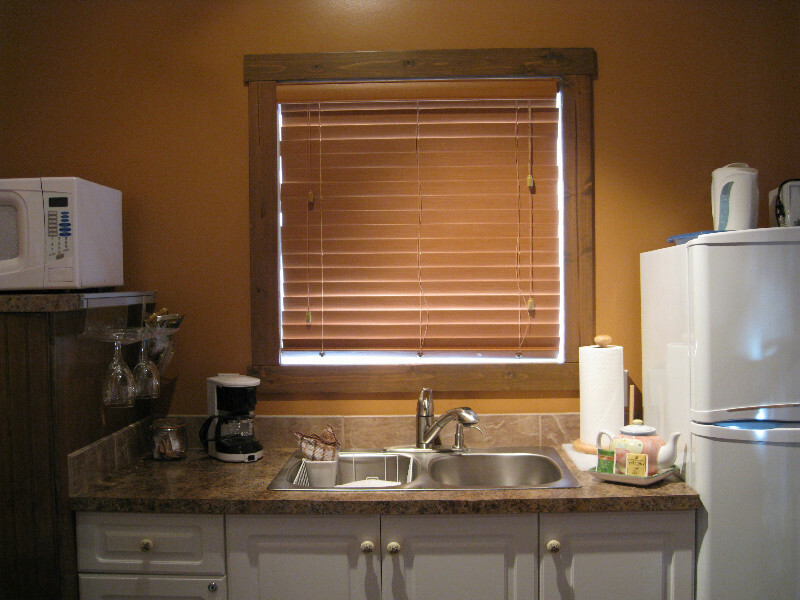 Guests are welcome to enjoy a favourite beverage. 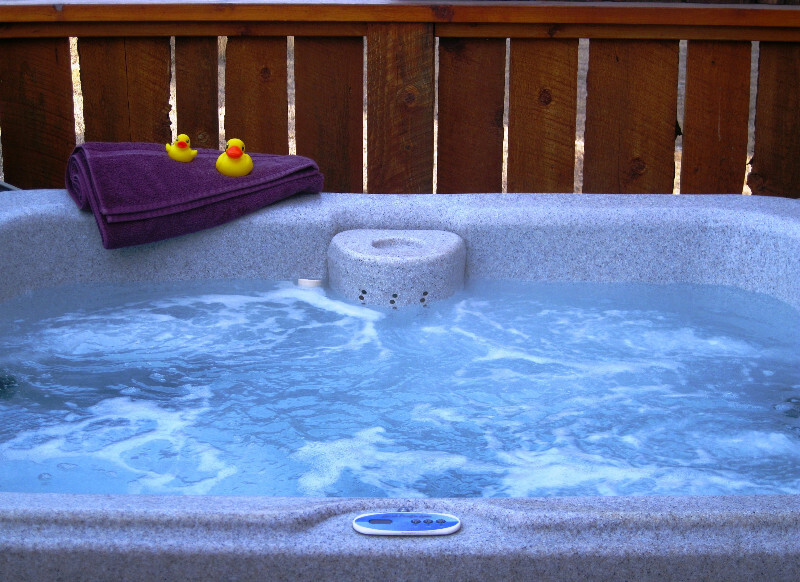 Each Cabin has a private Hot Tub, they are only outfitted if the guest would like this “extra added service”. Available for your personal enjoyment 24/7.